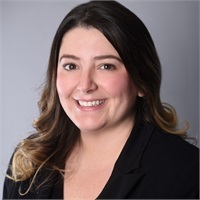 Ashlie Storms | Concordia Financial Group, Inc.
Ashlie joined Concordia Financial Group in 2017. She has an extensive background in banking for over 11 years. In her role at Concordia, she assists Rich to implement new client proposals and track new accounts, ensuring they are being processed correctly and in a timely manner. Ashlie also follows up on company goals and deadlines, assuring efficient productivity in the office. As the company facilitator, she attends to client service requests and schedules annual client reviews.